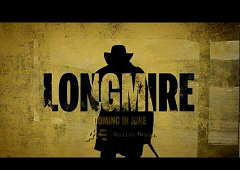 Longmire premiered when I wasn’t paying attention, so I backed up and watched the first three eps. Nice. Like every other cop show, it suffers by not being Justified, but I enjoy it. The script makes Lou Diamond Phillips talk funny and gives us some occasional predictable lines (stop it, script), but the over-arc is cool and the setting is Bonanza, only further north and with vehicles. Hey! Starbuck! Good to see Starbuck getting work. If you were to come home and walk in on this book screwing your wife, it would get out of bed, flip you off, go in your kitchen, make itself a sandwich, pet your dog while it ate the sandwich, come back into the bedroom, hand you the dirty plate, then finish screwing your wife. This is hillbilly noir with an extra side of bleak, as if Woodrell (Are you there, Daniel Woodrell? It’s me, Margaret) sent a novel to Cormac McCarthy for rewrites. Some mild complaints with establishing (as in keeping up) the protagonist, but as a backwoods mosaic of foul deeds and bad intentions, I LOVED it. It so happens that I’d just read The Stars are Falling in one of my Best American anthos, so I was all like, “Tangly vines? Again?” Not to dismiss tangly vines. I mow an acre of South Carolina every few days, and the vines are unrelenting. This book is excellent, but with one too many similes (the hippopotamus one) near the beginning, and some time-related suspensions of disbelief problems. Skunk terrifies ─ check out the description when he charges during the storm. You hardly ever hear this about a story, but I enjoyed the denouement more than the rest of it. There was going to be something else here, but Fatale insisted we get this streamed. It’s absolutely Gutter, and Woody Harrelson is freaking amazing. LA cop gone bad isn’t exactly virgin territory, but we don’t do virgins in the Gutter anyway. Just giving you a moment there. This flick has one directorial misstep that’s too Eyes Wide Shut; you’ll shrug it off. I highly recommend this one. The cast is a paddy wagon of badass and I promise you it gets your Gutter card stamped. Comes out July 6th! Oliver Stone directing an adaptation of the same-named novel. I’m so there. Taylor Kitsch finished fighting aliens in two giant CGI blow-em-ups, cut the Texas Forever hair and came to California to shoot drug lords. Fatale doesn’t get the whole Taylor Kitsch thing, but I think he’s fun, maybe Statham TNG. Dude, he was Gambit. Now I have to read the book (Don Winslow, 2011). Winslow co-wrote the screenplay, too. Benicio Del Toro crazying up the place, and Salma Hayek? Oliver Stone? Who am I to tell Thomas freaking Perry that I didn’t like one of his books? The man has an Edgar (The Butcher’s Boy, 1983). Do I have an Edgar? * Have you read Vanishing Act? It’s wonderful. It will change the whole way you look at thrillers. I just didn’t dig The Informant, although Butcher Boy fans should love it; it’s the third and apparently final book in the Butcher Boy/Elizabeth Waring circle-jab-back off thing they’ve got going.